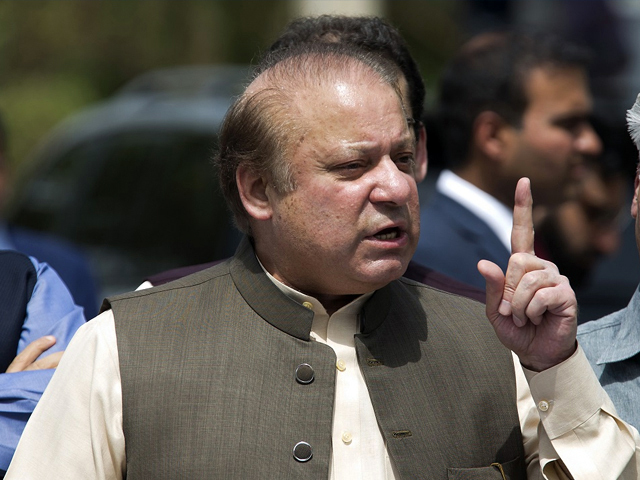 Pakistan’s top court has approved former PM Nawaz Sharif’s bail on medical grounds for six weeks in the Al-Azizia Steel Mills reference. He will have to submit surety bonds worth Rs5 million. The court said that Nawaz Sharif will have to surrender after six weeks. In case, his health doesn’t improve after six weeks, then the PML-N Quaid will have to approach the high court and ask for the bail to be extended. The three-time premier was sentenced to seven years in jail on December 24 last year. He has been serving the sentence at Lahore’s Kot Lakhpat Jail. Nawaz Sharif’s lawyer Khawaja Haris requested for bail for eight weeks. He said that Nawaz Sharif should be allowed to consult his doctors. The former PM will approach court against if his health doesn’t approve after eight weeks. Justice Sajjad Ali Shah remarked that eight weeks seems like an appropriate time period. Harris said that Nawaz Sharif will complete his sentence once his health improves. Harris said that the PML-N Quaid will not go abroad without the advice of his doctor. Justice Yahya Afridi said that the bench will review if Nawaz Sharif can be given bail till his health improved. Nawaz’s lawyer and NAB prosecutor have completed his final arguments. On February 25, the Islamabad High Court had rejected Nawaz Sharif’s bail plea in the Al-Azizia Steel Mills case. The PML-N leaders started celebrating after the verdict was announced. Many said their prayers, while some distributed sweets. Courts have granted Nawaz Sharif relief on medical grounds, said former PM Shahid Khaqan Abbasi while speaking to the media outside the court. “This has unveiled the conspiracies of Punjab and federal governments.” The court has accepted that Nawaz Sharif has not been well, he remarked. Pervaiz Rasheed said that the case against Nawaz Sharif was political. “We don’t have a personal vendetta against any political party,” he said. He rejected all claims that PML-N leaders have been asking for an NRO to ‘save’ Nawaz Sharif. What the hell in this country? What is the mistake of other prisoners? There mistake is that they have not plunbdered billions/trillions of dollars of public. Poor prisoners, even stole few thousands and will die in jails. wow! !again bail, he will be leaving soon to uk. thas his next step , powerfulman can’t get jain in pakistan that for sure only poorn folks. shame for us we still have 1872 laws in our country. In this country one prisoner who has plundered billions still being given this treament, what about ordinary pakistan who are in jails,(except the criminal) for minor reason, what about them? Pakistani judges are jokes. What a bloody cheek to give bail to this thieve,he was addament to get bail though hes so called ILLNESSES,and now suddenly he looks healthy enough to run home.I wonder which qualify DOCTOR going to treat this THIEVE. NS got temporary relief for 6 weeks. Now he will continue his drama lying in hospital bed at the end of six weeks and continue to dodge the courts. The doctors will be paid heavily to create fake reports that he is not well and fit to be shifted to hospital. Maryam Nawaz will use lies and tweeter to spread rumors. What a shame on this family. Mark my words. Respect to Court decision and be compliance by every one.